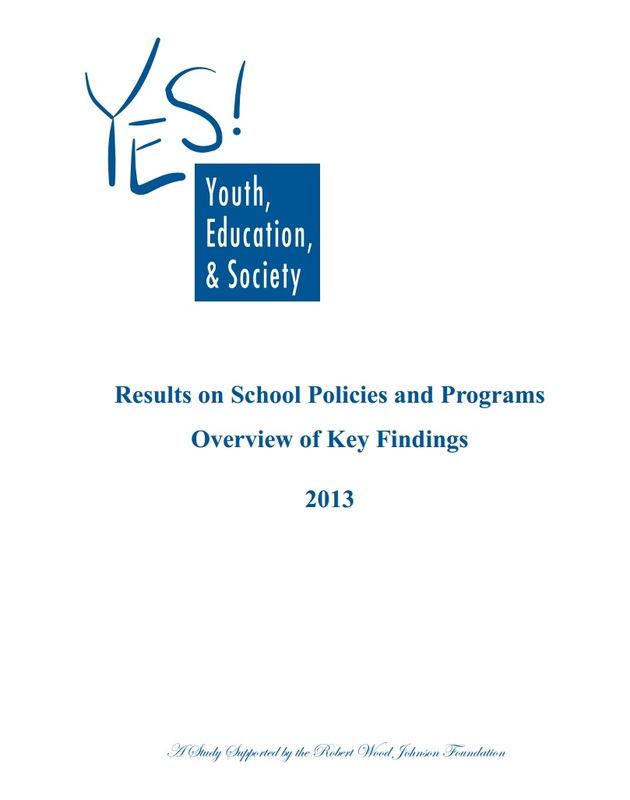 After returning the school administrator's questionnaire, schools participating in the YES study receive a report on the national results from that year, entitled Results on School Policies and Programs: Overview of Key Findings. This report provides key findings from the Youth, Education, and Society (YES) study of school alcohol, tobacco, and other drug (ATOD) prevention programs and school activities and policies relating to student physical education and nutrition. Today's school administrators face multiple challenges, from raising accountability and achievement standards to creating safe, drug-free learning environments and, more recently, to attending to the growing problem of obesity among youth. Indeed, in a number of schools, administrators and other school personnel are also increasingly concerned about school policies and practices that might contribute to, or help reduce, weight problems among their students.